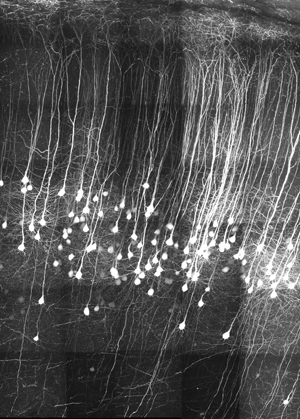 The flip of a single molecular switch helps create the mature neuronal connections that allow the brain to bridge the gap between adolescent impressionability and adult stability. Now Yale School of Medicine researchers have reversed the process, recreating a youthful brain that facilitated both learning and healing in the adult mouse. Scientists have long known that the young and old brains are very different. Adolescent brains are more malleable or plastic, which allows them to learn languages more quickly than adults and speeds recovery from brain injuries. 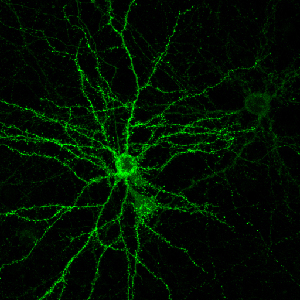 The comparative rigidity of the adult brain results in part from the function of a single gene that slows the rapid change in synaptic connections between neurons. By monitoring the synapses in living mice over weeks and months, Yale researchers have identified the key genetic switch for brain maturation: the Nogo Receptor 1 gene is required to suppress high levels of plasticity in the adolescent brain and create the relatively quiescent levels of plasticity in adulthood. In mice without this gene, juvenile levels of brain plasticity persist throughout adulthood. When researchers blocked the function of this gene in old mice, they reset the old brain to adolescent levels of plasticity. Read more: Flip of a single molecular switch makes an old brain young | KurzweilAI.